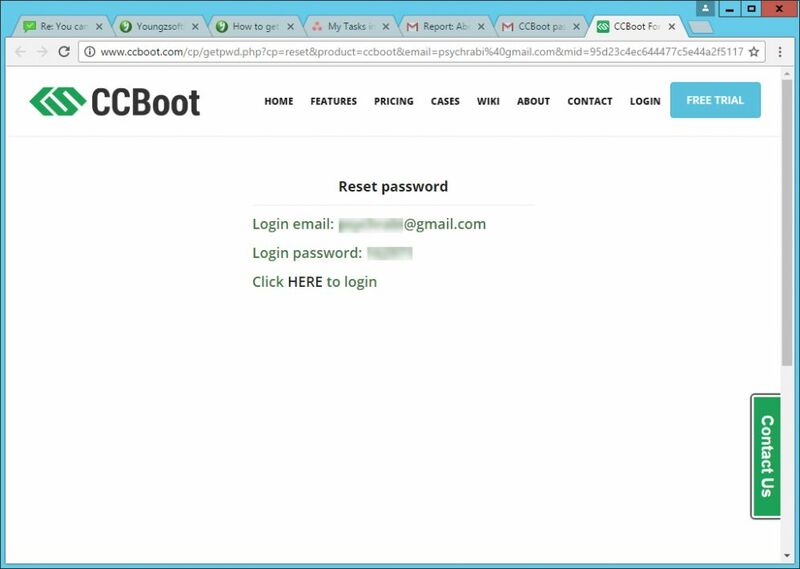 When you add PC to your license, you get a new license, but when you login to CCBoot it still show old number of PC. Shows 5 PC trail even after purchasing the license using same email used for trial. Problem: License is not updated after adding PC or still showing 5 user after purchasing license with trial email. 1. 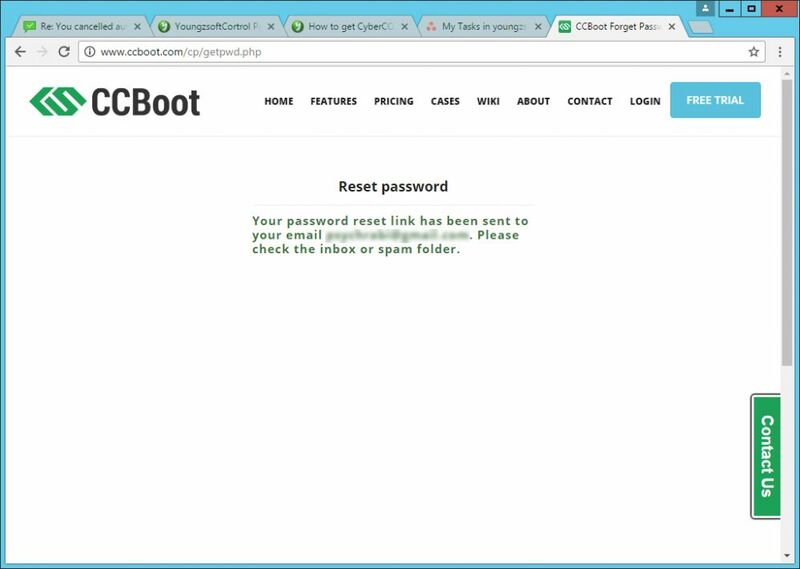 Go to http://www.ccboot.com/cp/login.php and click on "Forget Password" link (Figure 1). 2. 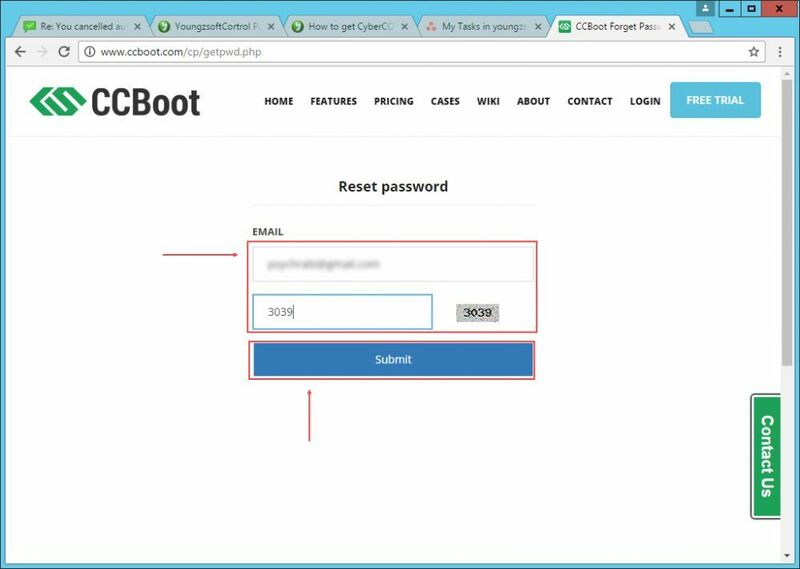 Enter your email address that you registered with or purchased license with and the verification code then click "Submit" button (Figure 2). 3. 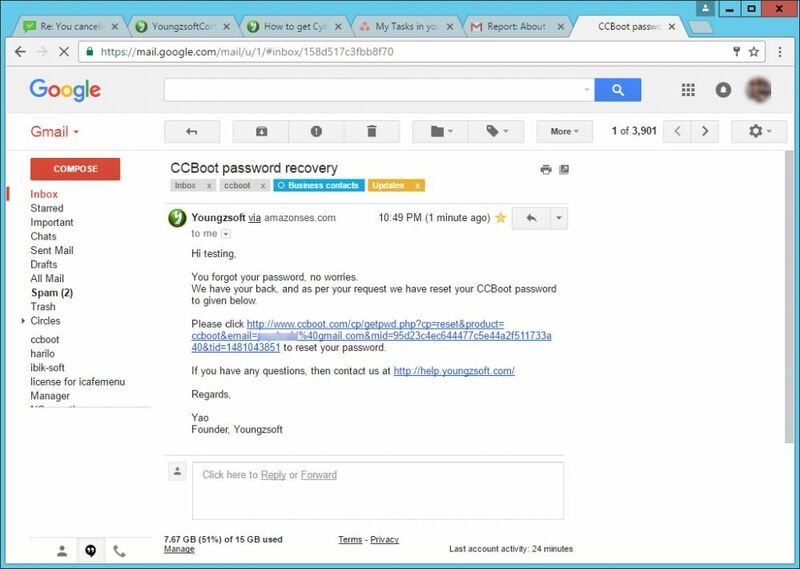 You will be sent an email with password reset link. 4. Click the link in the email (Figure 4). 6. 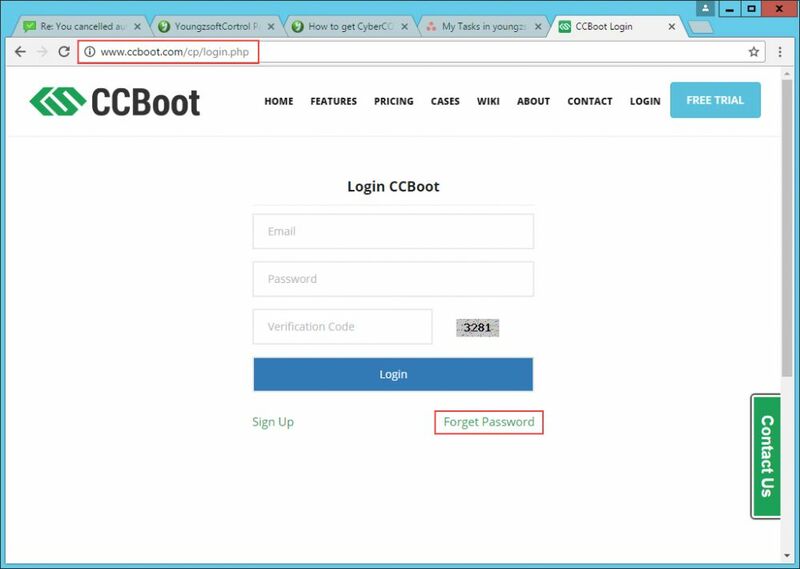 Now, Login to your CCBoot and it will will show correct number of PCs or new license.